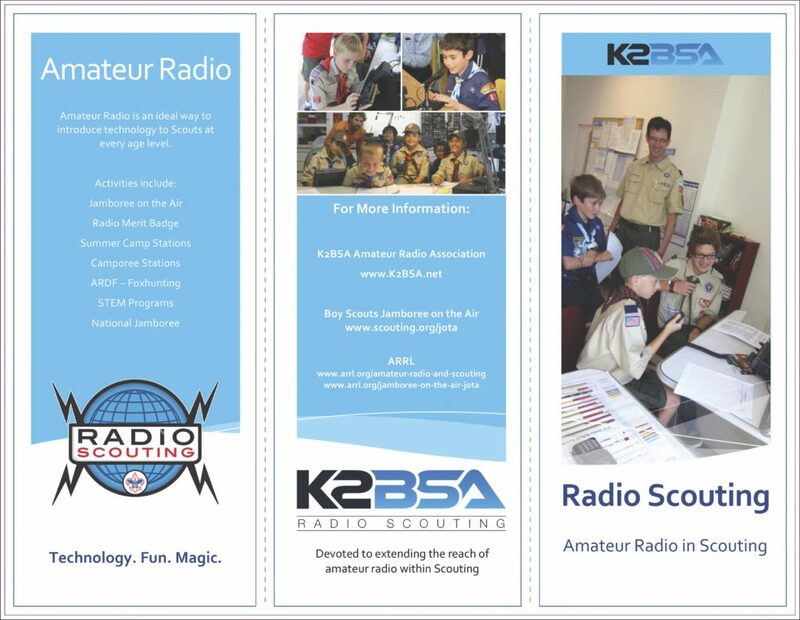 We've created a brochure for use with ham clubs, Scouting roundtables, and any other event that could use a colorful brochure with the highlights of Radio Scouting. You can download the PDF pages below as well as the MS Word file for any revisions you'd like to make for your event. This version was updated for the 2016 Dayton Hamvention®. We also have a Mentoring the Next Generation of Hams brochure. It is packed with links for more information. Choose the brochure that is right for your event and audience. You have permission to print this brochure in any quantities needed for your event. It prints double-sided on an 8.5 x 11 sheet of paper and is folded twice into a three panel brochure. 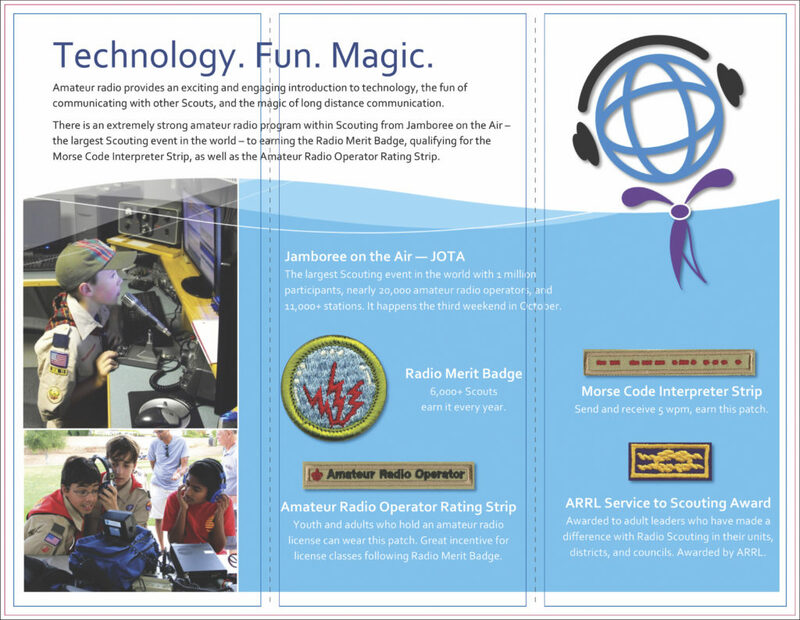 Click on an image to download the full PDF document, or use this link – Radio Scouting 2016 PDF. You can also download the MS Word file – Radio Scouting 2016 MS Word File.